Specific Phobias - are many and diverse, ranging from the fear of flying through the fear of insects, blood, animals, objects, situations and places. Most phobias are related to one thing only. Agoraphobia is a different kind of phobia so we will discuss it on another page. Phobias were once described to me as doing 400 simultaneous horror movies because of one thing. A Specific or Simple Phobia is just what is says, simple, but that does not make it easy to cope with. I have sat on aroplanes with people in full panic mode. They are truely scared out of their minds. But at this point they are unable to respond to good sense and any form of treatment. A simple or specific phobia is a fearful reponse to one thing, creature, situation or event. What makes them so overwhelming is that they are out of your control and happen at a subconcious level. You can be aware that it does not make sense to behave like this but it still goes ahead despite your good sense wanting to take over. Why does it happen? The root cause of many phobias exists back in time. Often hidden by the fact that the first experience happened before real concious memory began. It is stored in the subconcious. Each time it happens the process can become even more reinforced. As you get older it can become stronger. It is also possible to pick up phobias in other ways such as modelling others and conditioning. Allow me to use myself as an example. As a child when I cut myself badly and saw the blood I passed out. According to my family it was because the blood ran away from my head to the area that was cut. I believed it. After all adults know best. In reality I went into a panic and fainted as a reaction. It was not until I was learning methods to treat phobias that realised that my reaction to blood was like a phobia. Even then it was several years later that I read a description that revealed it as a true but unique phobic reaction. After my phobia cure it no longer bothered me. To return to the question, "why do phobias happen?" It is because the original trigger scared the sufferer and their reaction became lodged in the subconscious mind. Now each time the trigger, the scary fact, appears then the same fear is generated. The mind and body take fright and take action, usually by trying to get away. The flight aspect of fight flight or freeeze. The quick way to cure phobias is to set up a new neural pathway that stops the phobia from running again. 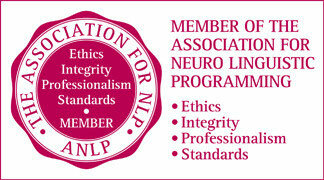 NLP has some very good tools to help you with this with. Leave your e-mail on the on the right if you would like to talk your concern through. OR better still Phone 01535 692207 for a complimentary consultation.